You must be surpises by this two combination (cheese and tea or coffee) were made into one cup of drinks. I do have doubt and wondering what it would be taste like. 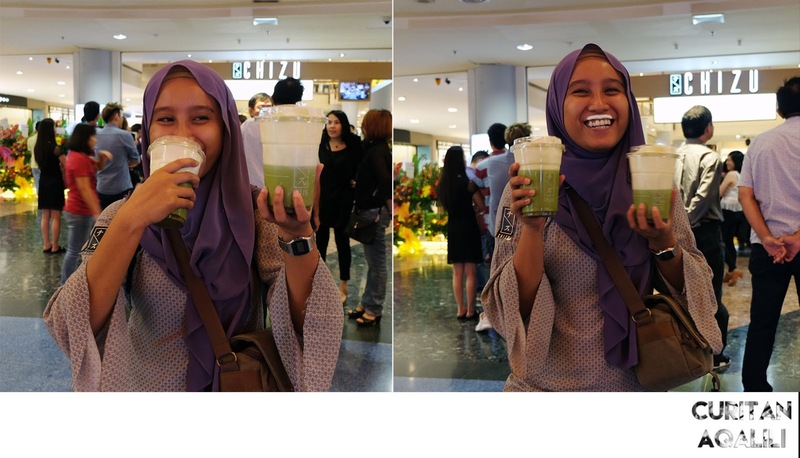 But after drink Chizu, its actually quite interesting flavour to my tastebud. Chizu is a phrase derived from the Japanese meaning, cheese. 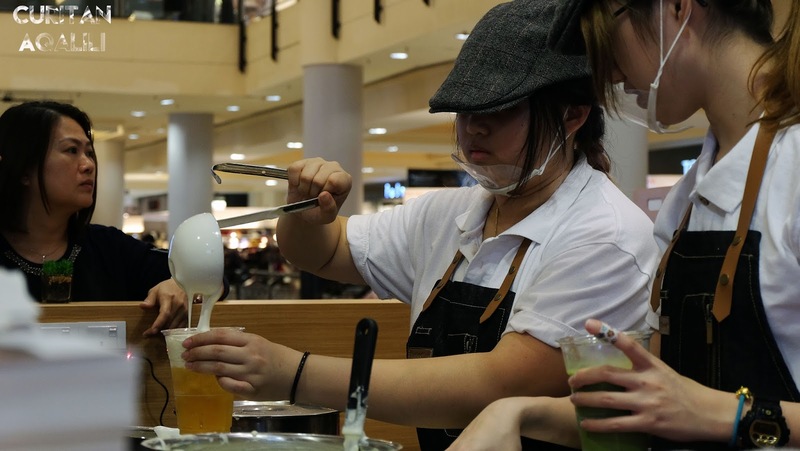 Their tea and coffee are specially handcrafted with cheese, creating Japanese cheese drink. 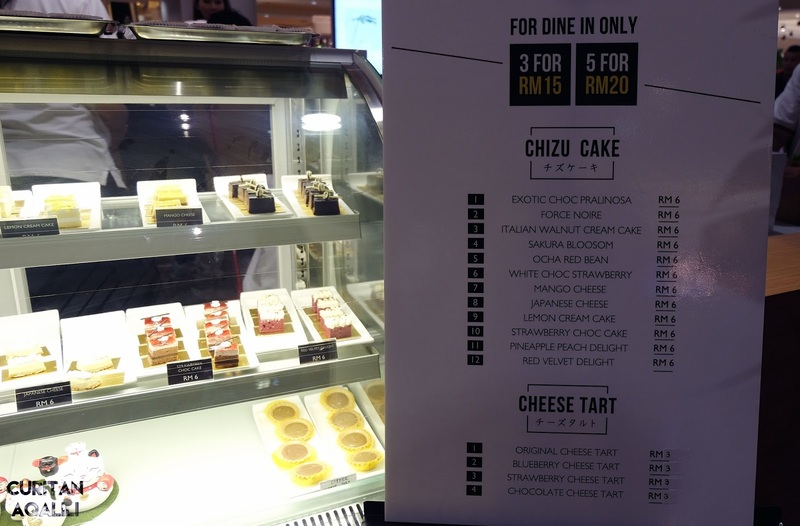 Chizu launch with 5 flavours. Among this five flavours, I choose to taste one only which is Matcha Red Bean Cheese. My personal point of view is I admit that its unique product. Even the lid cup is different in order to get their signature moustache pose after drink it. Moving on to the taste, I love matcha and to combined with cheese is great. But, the cheese layer is too thick and I can't get at the bottom of the drink which is the red bean. The cheese got a salty, sweet and sour taste to it. That suite with unsweetened matcha. I just hope they will still provide a straw to scoop the red bean. For me I think I have to finished it faster or with an empty stomach, otherwise I will start to feel 'muak' (nausea). 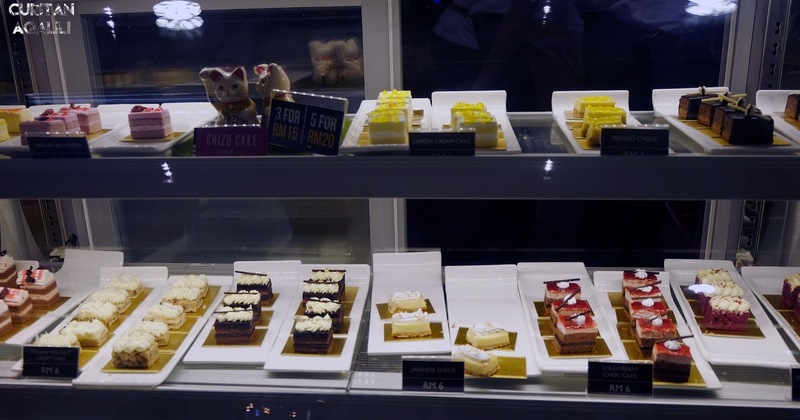 Besides the drink, they also have a dessert bar which shape like sushi. This sushi sized cake is for dine in only, and can be bought for 3 for RM15 or 5 for RM20. 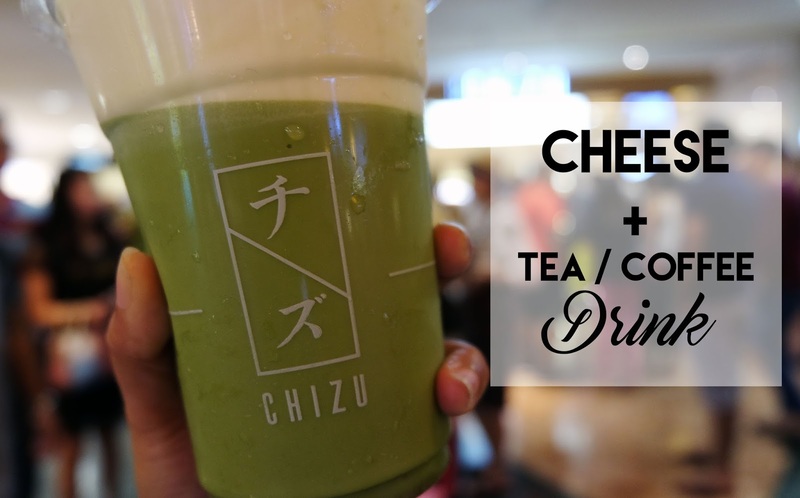 Anyway, kudos to Chizu because came out with an unique drink, that most of us think its impossible but possible combination! I will revisit them and get my hand on Blackcurrant Cheese because I heard its one of customer favourite. 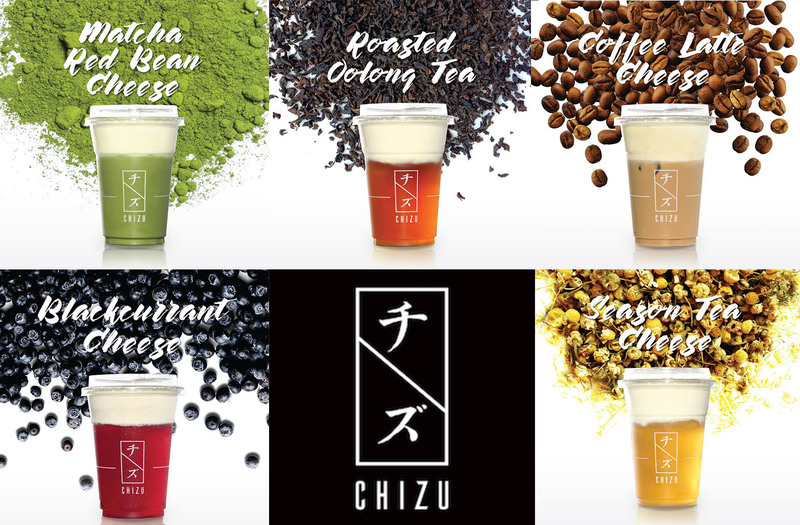 To know more about Chizu, please click here. Let me know if you have already tried it because I love to read your comment below. 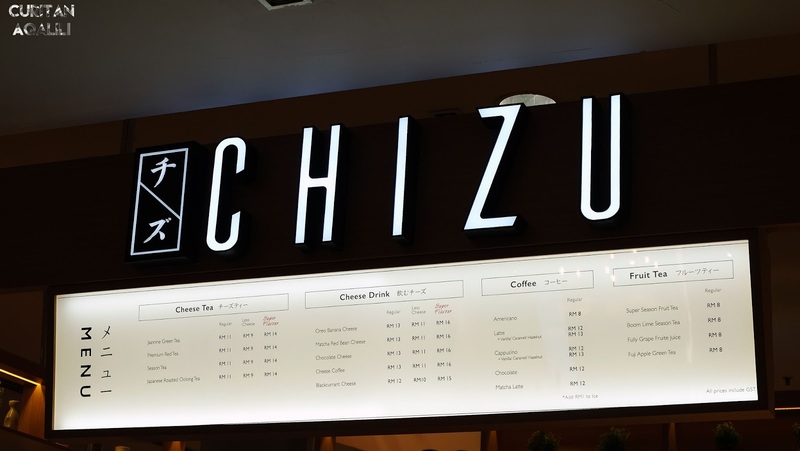 Visit Chizu at Sunway Pyramid, LG1.08A and experienced the uniqueness.